Books and journals in the University Library stored after 1990 are searchable via the OPAC computer or the Internet. Materials placed on the shelves are arranged according to the Nippon Decimal Classification (NDC). 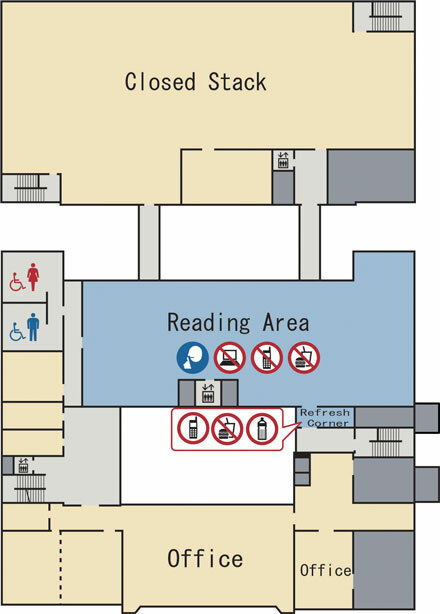 Please refer to the Library map and NDC scheme. These are available from the Library website. We will assist you in the issuing of Library cards, borrowing & returning books, etc. Japanese and foreign journals acquired in and after 1984 are available. Materials dated before 1983 are in compact stacks. The latest journals are in the Current Journals Corner. The journals are shelved in alphabetical order. The collection must remain within the Library. College and university bulletins and catalogs are sorted alphabetically by university name. These are arranged by issuing ministries and agencies. Audio-Visual materials are available. To use them, please sign in at the Service Desk.The borrowed audio-visual materials cannot be taken outside the Library. You can carry out discussions and group learning here. Whiteboards and projectors are provided. Daily newspapers and back issues are available on the 1st floor. Cutdown versions of back issues of newspapers are available. Authentication by account (user name and password) of the LAN for students is required. Certain photocopies of the materials in the Library are allowed under the copyright law. Please fill out the Application Form for Photocopies before you make any copies. Materials shelved on the 2nd floor can be accessed freely. New books are separately displayed before being shelved. 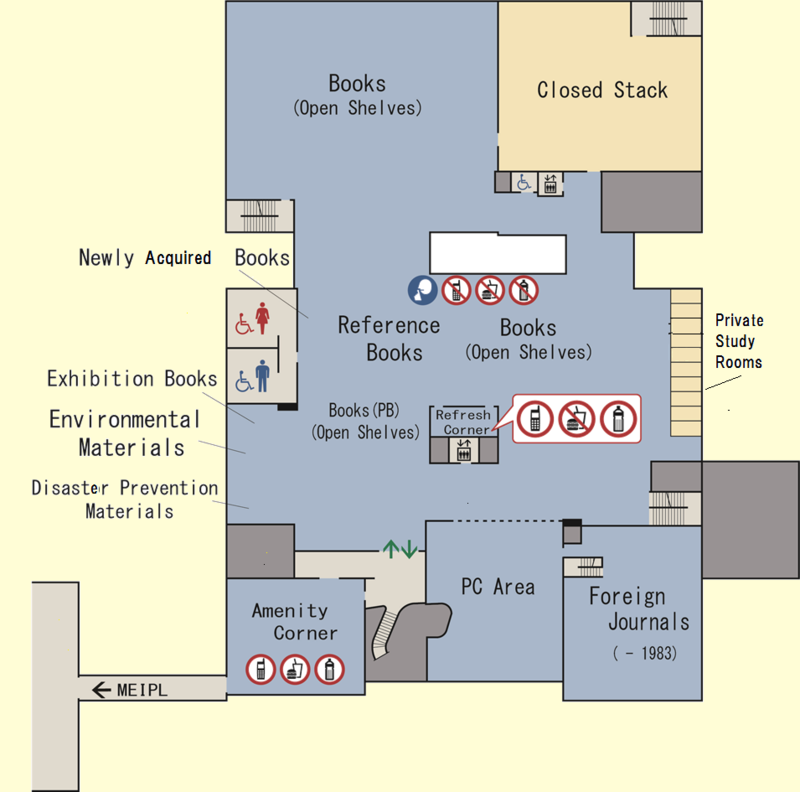 Collection of reference books including dictionaries, encyclopedias, maps, and more. Reference books can only be used in the Library. Books written by Mie University Academic Staff, and published by the Mie University Press. Collections of materials related to disaster and disaster prevention. Collections of materials related pollution and environmental engineering. There are 10 rooms. To use one, please ask a staff member at the Service Desk. Authentication by account (user name and password) of LAN for students is required. About 230 desks are available on the 3rd floor for reading and writing reports. Please do not use PCs here and please keep quiet. This mark means that you can utilize part or all of these services online. A Student card is needed to use the Library, or borrow books. The card may not be lent to anyone else. Staff access to the Library is via their staff ID, so please let us know if you have your staff ID on your first visit. Scan your card at the entrance gate, which will open automatically. If you do not have your card, please talk to a staff member at the Counter. The exit gate will open automatically. It has a monitoring system to prevent unauthorized removal of books. Please take your selected books to a self-service unit or the Circulation Desk to check them out. You should have your Library card ready. The borrowing period is extended during the Spring, Summer and Winter vacation. (This applied to students only.) It will be announced on the bulletin boards. If you want to borrow a book for a long time for writing a paper or for practical training, please contact a staff member at the Circulation Desk. Please return your books to the Circulation Desk or use the Self-Service Unit. If the Library is closed, please them in the Book Return box next to the entrance. (Return processing will take place when the Library re-open.) If you do not return items by the due date, your borrowing rights will be suspended for the same number of days as they have been overdue. If you want to extend the period of borrowing, please bring the books and your Library Card to the Circulation Desk or use the Self-Service Unit. You can renew a book up to 3 times (14 days per time) if no other user has reserved it and if it is not overdue. 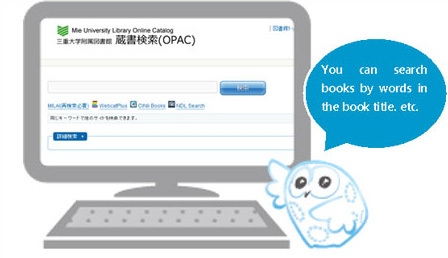 You can make a reservation for a book you wish to borrow, if it is not available at the time. We will let you know as soon as the book has been returned. You can use Library's audio-visual materials. We have 10 Private study rooms for use by graduate students and undergraduate students in their final year. You are able to borrow books from other university libraries, public libraries and the National Diet Library. A postage fee is required. 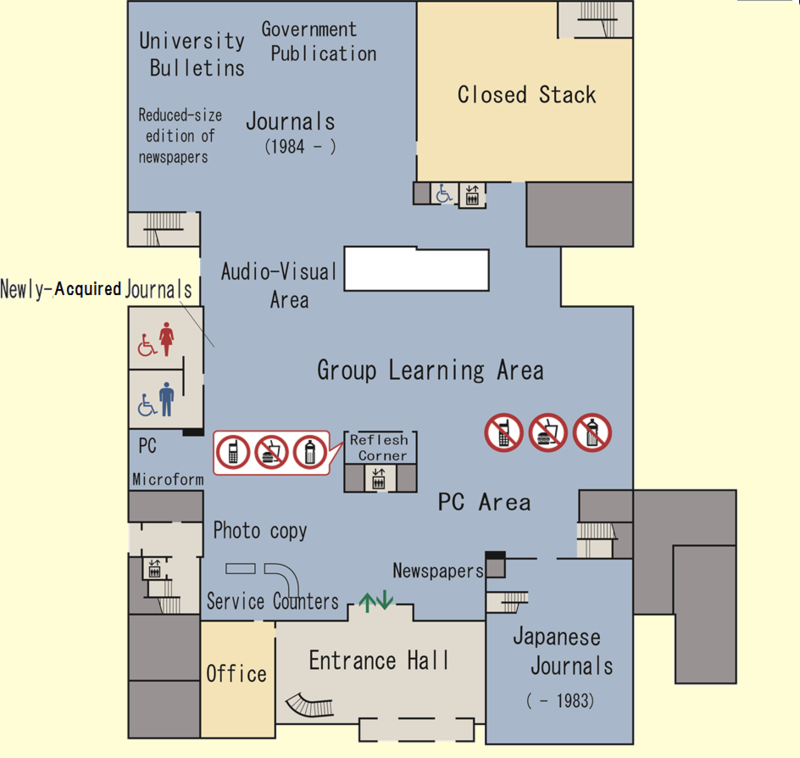 It is possible to obtain photocopies of materials held by libraries other than Mie University. Copying costs and postage are required. You can browse and copy materials digitized by the National Diet Library. You can request the purchase of a book that is not in the Library. Please do not eat, drink or use mobile phones except in specifically designated places. Please take appropriate care of the materials. Please return the materials to their original location. Please take your valuables with you all the time. Place do not speak loudly. Copyright © Mie University Library All Rights Reserved.